Yesterday, news reported the Selangor legislative assembly's Select Committee of Competency, Accountability and Transparency (Selcat) will be holding a hearing on the removal of Azmin Ali as PKNS board member and the dismissal of the 23 staff of PKNS Holdings. Mysteries surrounding the dismissals will be heard on the March 25 and 26 but that will be after polling of the Kajang by-election on March 23. In the past, SELCAT was seldom used as a political manouvre to cover-up wrongdoings in Khalid-led government. It could be different this time because the suspicion is SELCAT will be used to serve the purpose of removing or justify the withdrawal of Tan Sri Khalid Ibrahim as Menteri Besar. Last week, the financial news reported a mysterious off-court-settlement involving Khalid's Guthrie related outstanding unpaid loan to Bank Islam. The amount used to be reported as RM66.7 million. Since then, some report claimed the amount has increased to RM80 million. It is probably accumulated interest but Bank Islam will call it by some Arab sounding term to pass it off as halal. Now the principal of it. What is really going on? Will SELCAT look into it? 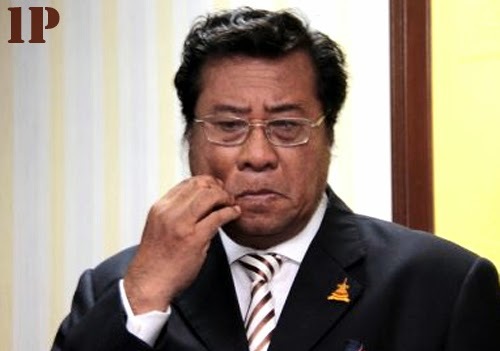 SHAH ALAM: Tan Sri Khalid Ibrahim and Azmin Ali will be called to testify before the state’s Select Com-mittee on Competency, Accoun­tability and Transparency over the removal of the Bukit Antara­bangsa assemblyman from the board of the Selangor State Development Cor­poration (PKNS). The hearing will be held on March 25 and March 26, Selcat chairman Hannah Yeoh told a press conference here yesterday. The inquiry will be two days after the Kajang by-election, which will be contested by PKR adviser Datuk Seri Anwar Ibrahim in what is believed to be a bid to propel him into the Mentri Besar’s office, replacing Khalid. Sources said Khalid may resign should Anwar win the polls and the hearing would serve the purpose of reinstating Azmin, who is PKR deputy president, on the PKNS board. Azmin was removed on Dec 4 last year, with the Mentri Besar’s office saying later that then general manager Othman Omar was behind the sacking. Following Azmin’s removal, 22 contract staff of PKNS Holdings were dismissed. Sources alleged that they had found their way into the company through Azmin’s recommendations. Yeoh said there were many versions to Azmin’s case. “So, we would look at his position on the board and what the actual story is,” she said, adding that Azmin, who is a Selcat member, would be testifying as a witness. Yeoh said the termination of the 22 contract staff of PKNS Holdings and other issues relevant to PKNS would also be brought up at the hearing. The files on the various issues on PKNS is as thick as several layers of brick. Two days will not be enough. Can you understand now why we suspect it is for a special purpose? 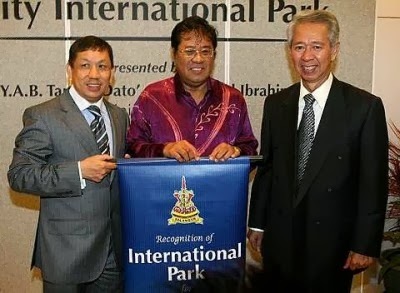 It is publicly known that Khalid has an outstanding loan with Bank Islam of RM66.67 million for his defaulted loan related to the Guthrie allocated to him from the assistance of Anwar Ibrahim when he was Finance Minister and Deputy Prime Minister and Khalid was GM of PNB. That allocation was questionable because he is a PNB employee. If he was given, then other capable and there are those more capable and intelligent than Khalid, why were they not given? One suspicion was Khalid had bomoh the late Tun Ismail Ali into liking him. He was going around with a big songkok similar to the victim of the murderous bomoh Mona Fandey, Dato Mazlan. The late Tun would jump on any staff whenever he could not comprehend their written or verbal presentation but not stuttering Khalid. But that is the stuff of gossip. Khalid got it because of Anwar. THE CANCELLATION of a Federal Court hearing of a legal suit between Bank Islam (M) Bhd and Tan Sri Khalid Ibrahim has given rise to speculation that the two parties may be opting for an out of court settlement. The case that was to be heard yesterday pertained to a Bank Islam suit to get the courts to rule that certain issues in the original suit filed by the bank against Khalid can be referred to the Syariah Advisory Council of Bank Negara Malaysia. In the original suit filed in 2007, Bank Islam had sued Khalid to recover some RM70 million given to the latter under an Islamic loan facility. 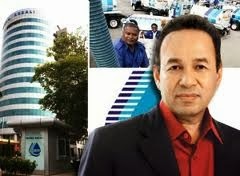 The money was used by Khalid to buy a 5% stake in Kumpulan Guthrie Bhd of which he was the chief executive officer. Khalid subsequently counter sued Bank Islam and, among other things, aid the Bank had wrongfully sold the Guthrie shares that were pledged as collateral. The two cases were subsequently consolidated into one. During the course of the hearing of the original suit, several legal and constitutional issues were raised, one of which was whether the Syariah related matters of the case should be decided by the civil court itself or be referred to the Syariah Advisory Council of Bank Negara. Bank Islam then filed a case to argue that these matters should be referred to the Syariah Advsiory Council and that its decision should be final and binding. This case had reached the Federal Court level and was to have been heard yesterday but legal sources it was "vacated" at the last minute. 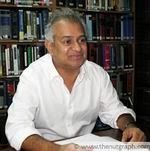 The lawyer for Bank Islam, Tommy Thomas could not be reached, while the lead counsel for Khalid, Mathew Thomas Philip said "we are not at liberty to comment." An out of court settlement now will be sure to add more spice and speculation to the drama unfolding over the future of Khalid and whether the Pakatan Rakyat intends to replace him as the Menteri Besar of Selangor following the decision of Datuk Seri Anwar Ibrahim to contest the Kajang state by-election. Supporters of Khalid say that any development in the legal case between Bank Islam and Khalid is totally unrelated and should not be used to justify any move to unseat him as Menteri Besar. The Malay Malay Online and Malaysian Insider's reported o the same story few days later here and here. The timing of the out of court settlement and who and how it was settled will the question in everybody's lips. Khalid has not got his salary increment yet as Menteri Besar. So where did he got his money? Knowing so well that disputing bank's action to force sell clients' shares for not topping up margin is standard practise to delay tactic. It means Khalid does not have the money to top-up and he also does not have the money to pay. On top of that, Bank Islam's lawyer, Tommy Thomas is active in Bar Council and slant towards opposition Pakatan Rakyat. Did the lawyer cut a deal to save Khalid and Selangor's Pakatan Rakyat government? 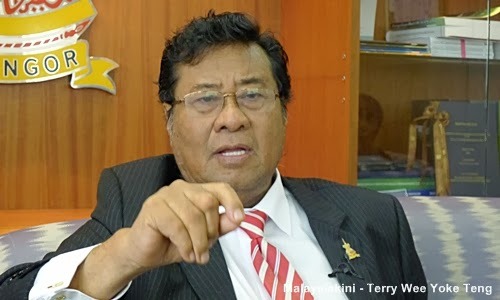 PETALING JAYA (Feb 14): Selangor Mentri Besar Tan Sri Abdul Khalid Ibrahim has denied suggestions that he had compromised PKR and Pakatan Rakyat in his settlement with Bank Islam (M) Sdn Bhd. In a text message to The Edge Financial Daily / fz.com last night, Abdul Khalid said his settlement of the RM70 million suit was a personal matter which was why he did not inform the party. It is understood that both parties had reached a settlement almost a month ago but it only came to light recently, following which PKR leaders including de facto chief Datuk Seri Anwar Ibrahim confronted Abdul Khalid for keeping the party in the dark. The Kajang move it is said was initiated to remove Abdul Khalid as mentri besar as he could have been "compromised" due to the settlement which has not been officially disclosed but is understood to involve a far lesser sum. That prominent lawyers linked to Umno were involved in negotiating the settlement also added speculation that the settlement had political undertones. Abdul Khalid however dismissed these allegations. "At no stage did I ever get the party involved in the case as it is a personal matter," he said in his text message. "In this case both parties agreed to settle out of court. Both parties felt that there are areas that can be explored to resolve (the matter). It is all done in a professional manner," he added. The Federal Court was scheduled to hear the case on Wednesday but the case was vacated a day earlier. The Edge Financial Daily had front-paged yesterday that Wednesday's case pertained to Bank Islam application for the court to rule that certain issues in the original suit filed by the bank against Abdul Khalid should be referred to the Syariah Advisory Council of Bank Negara Malaysia. 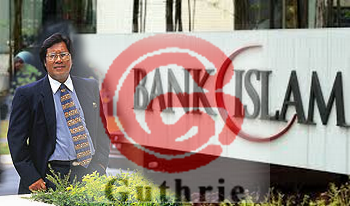 In the original suit filed in 2007, Bank Islam had sued Abdul Khalid to recover RM70 million under an Islamic loan facility, which Abdul Khalid had used to buy a 5% stake in Kumpulan Guthrie Bhd when he was its chief executive officer. Abdul Khalid also filed a counter claim against Bank Islam for the wrongful sale of the shares that were pledged as collateral. However, the denial of a compromise is falling on the deaf ears by the opposition media. They are not convinced. Why the hush on Khalid- BIMB settlement? I am getting particularly concerned that Malaysiakini continues to highlight on speculation about a water deal behind the Kajang Move while turning a blind eye to the disquiet in the market of what will be the most controversial out-of-court settlement between Khalid Ibrahim and Bank Islam. So far, only a handful of online portals have covered the issue. Even then, it was not pursued with the same vigour that it should have been given the implication of the settlement. Just to recap, The Edge Financial Daily had queried Khalid on the terms of the out-of-court settlement. Khalid had once borrowed about RM60 million from Bank Islam to purchase shares and when the share price tumbled, he ended up owing that much (plus interest) to Bank Islam. What is perhaps not known is how Khalid had completely kept all discussions on the settlement from his lawyer, Malik Imtiaz, who was not in the know. 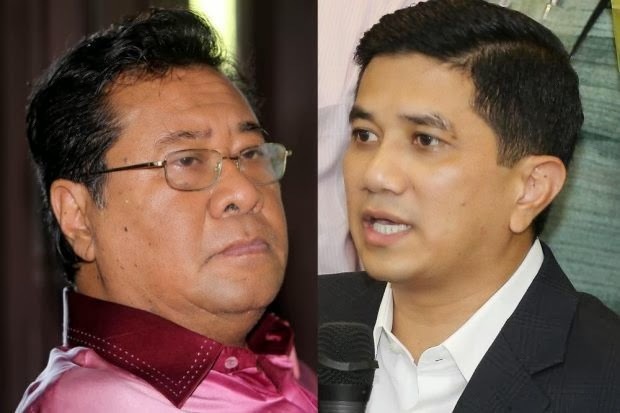 This took place at the most opportune time - after Selangor has announced that it was willing to surrender its water assets to the federal government and Khalid’s reticence in dealing with the race and religion issues in Selangor. To the inquisitive mind of normal Malaysians, the series of developments is arguably highly suspicious and warrants a closer scrutiny especially on the part of Khalid, at least for the sake of transparency and integrity. When The Edge Financial Daily queried Khalid, he was quoted as dismissively saying that it was his private transaction that has nothing to do with the state or the party. When Haris Ibrahim began to publish the issue on his blog, I feel obliged to write to online portals because for the sake of transparency and integrity, Khalid and Bank Islam need to explain what are the basis and terms of the settlement. Let the people decide for themselves as it is necessary to clear the air immediately. Otherwise, rumours will continue to become the talk of the town. Which is why I think it is only fair that online portals like Malaysiakini and others pursue the matter more vigorously than it pursues the hypothetical speculation of the alleged water deal. I understand that Khalid’s image is good in the eyes of the public. To safeguard that image, he must be subjected to a public scrutiny. I now await to see whether Malaysiakini, The Malaysian Insider, The Malaymail Online, The Malaysian Chronicle, fz.com, The Heat, FreeMalaysiaToday and others will run the story. If they do not (at which I would not be surprised), perhaps the bigger problem remains the biased media, whichever side they support. 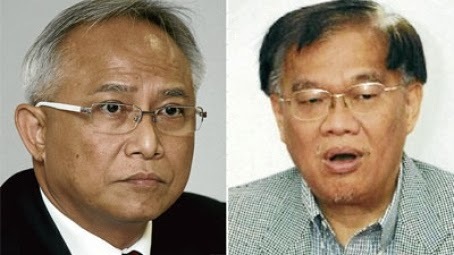 It is a common knowledge in the banking circle that the out of court settlement is brokered by Rashid Manaf who is well known for his connection as Daim’s ex-lawyer and Umno’s crony through Renong and other transactions. However, the link to Daim is not quite as direct. Rashid Manaf was a Chairman of SP Setia but not the major shareholder. They did bought a piece of Nusa Jaya land from Tan Sri Halim Saad's then Renong UEM group. Recently, Rashid's name appeared in Halim's application to sue Khazanah Nasional. Rashid Manaf and SP Setia's name is being implicated and Daim thrown in too. Unfortunately, Rashid is not quite political. He is just a businessmen whose loyalty is the paper with kepala Agong. A source within a Selangor SLC notice Khalid's close association with SP Setia. Strange thing about SP Setia is that, although PNB is a major shareholder, the Chinese owner who started it, is still in charge. A strange phenomena of GLCs who despite staffed by well-schooled and internationally exposed top executives but these days have a mindset of "Melayu serba tidak boleh". It is also happening between UEM and Sunrise, and Sime Darby and P&O. In case Tian Chua is salivating to run down Khalid with this information, wipe it. PNB did not acquire SP Setia during Khalid's helmship of PNB. For these alternative media to direct their finger to Daim, they are instigating us to expose the real hand behind SP Setia. He is none other than the former MB of Selangor who had to resign for breaching Australian foreign currency rule in getting caught bringing a bag full of cash at the airport. He managed to escape conviction by the Australian court by claiming he no spik ingrish. We are talking of Tan Sri Muhammad Muhammad Taib. He was also the PKNS Chairman that appointed the current GM of looking Islamic but corrupt operator of De Palma Hotel. 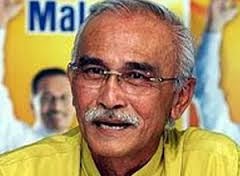 Nevertheless, Muhammad Taib had done much for Selangor but it was under him that PKNS begin to deviate from wholesomely for the rakyat. 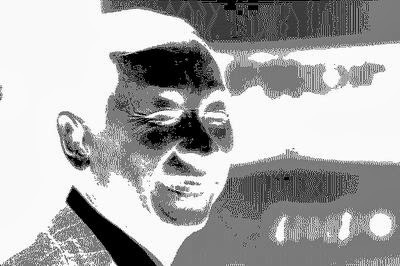 He was behind the making of Glomac which Datuk Othman later used as the model for more Joint Ventures which never really beneficial to the rakyat and state. Unfortunately, when the Australian embassment happened, AMLA rules was not tightened yet. But the question remain to how he could have such amount of money. Now that he is baptised into PAS, he has been pardon by their high priest Nik Aziz. Opposition will stop raising his past sin. If suddenly MACC complete their investigation and charge him, they will come forward to defend him under guise of selective prosecution. Prosecuted for joining PAS. Muhammad Taib was close to Anwar wen he was in UMNO. This confirms what we already had long suspect that he has never severed his link to Anwar. In fact, he has not ended any of his business interest with Anwar's boys. He has a company named Semudera Timor in which Dato Zainal Sakom and Dato Kamarul Baharin Abbas, the PKR MP for Telok Kemang sits on the board peacefully. It seemed that the motivation for his departure to PAS was land and not spiritual as he told one ex-PKR now actively involved with UMNO. Tian Chua's Chronicle accusation that Khalid's link to Daim has something to do with water deal. They are infering Khalid took money in exchange for quietly agreeing to go ahead with the construction of the Langat 2 water treatment plant. Yes sure ... who had always been behind Tan Sri Rozali Ismail and his Puncak Niaga and Syabas if not Muhammad Taib? With advisers around Dato Najib blaming Tun Daim as behind the attack on Najib, lu ada otak ka, Tian Chua? If really Muhammad Taib and Anwar Ibrahim is assisting Khalid to solve his Bank Islam problem, why is Tian Chua whacking hard at Khalid? Words heard is that Khalid's reputation of being clean will be further smeared. This blog had written in the past of Khalid's close link to Tan Sri Lim Kin Hong's Kanzen, I Bhd and Sumorwang. Something new is brewing to explode and it involves more than RM50 million state money wrongly spend for I Bhd benefit. It could probably be PKNS's money. Forget could and probably, it is PKNS money!!! Does the money spent by PKNS have any socio-economic relevance for the rakyat? If no, we ask again: Does it look like Khalid have interest in Lim Kin Hong? Someone must also revive the round tripping trick which helped Tan Sri Chan Ah Chye's Talam Corporation immensely. Expose it by not trying to cover anything. Heard there was instruction to pull the hand brake for fear it will implicate some UMNO leaders, specifically Dato Raof. Be done with him. Najib should have replaced Mr T shirt and banners long time ago. Interest in Talam kept changing with the power at be. At one point, there was Muhammad Taib's men, then Tun Lah's men and it is now Khalid's men. In the round tripping deal involving Talam, PKNS money was used. Another story brewing is a huge land deal which was sold at deep discount to one of the two Chinese corporate player-brothers. This last came from several sources; one is a highly connected Chinese corporate player and a Land Office officer. Like the Rothchild Jews who sold arms to Napolean and also British, one brother is very close to the BN side and the other one with Pakatan Rakyat leaders and state governments. The discounts was said to run in hundreds of millions. For that deep discount, tak akan tak ada apa-apa untuk Khalid? All this makes it more interesting because state official portal, Selangor Kini here reported Khalid denied linked to Daim. Jeng jeng jeng .... more to come. Just heard Dr Azmi Shahrom of UM reasoning on Hudud Law a minute ago on BfM. He calls it as desert law and barbaric. He stop short of refering it to Rasulullah SAW. This is definately an insult to Islam! Just listen to BfM podcast. Omar Ong link to AES established! The unanswered question: Were they abused?